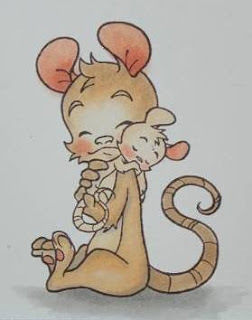 The lovely Barbara published a fabulous Copic Coloring tutorial on the Copic Marker Europe blog showing how to colour Henry mouse in brown and grey. It’s worth a look, if you love your Copics :) and you also have the chance to win some WoJ candy! Die liebe Barbara, hat eine tolle Anleitung auf dem Copic Marker Europa Blog gezeigt, in der sie Henry Maus in braun und grau coloriert. Ein Muss für alle Copic fans :), ausserdem gibt es auch etwas zu gewinnen!